Survey reveals over 60 percent use their mobile device as much or more on vacation than at home. The growing use of mobile technology when planning travel has spawned a new class of traveler – the Digital Elite – those who own and use two different mobile devices: smartphones and tablets. And this Digital Elite group of travelers is growing faster and spending more on vacations than less-connected travelers. These insights come from the just-released 2014 Portrait of Digital Travelers™, authored by travel and hospitality marketing communications firm MMGY Global, a national survey of the travel habits, preferences and intentions of 1,250 active travelers. Seven in ten of the Digital Elite are Millennials (18-34) or Xers (35-49). Overall, they are more ethnically diverse than travelers who are less connected. They tend to have higher annual household incomes and education levels. Additionally, they spent $1,851 more on vacations during the past 12 months than travelers who are less connected. In addition to spending more on travel, the Digital Elite increasingly view their devices as serving distinctly different purposes – and in fact, 66 percent agree their smartphones and tablets are not interchangeable. Are You A Member Of The Digital Elite? Below are selected highlights from the 2014 Portrait of Digital Travelers. Growing Fast – The Digital Elite now represent 38 percent of all travelers, up from 21 percent in 2012. Traveling More – They took an average of 4.8 vacations during the past 12 months, significantly more than the 3.8 vacations taken by all other travelers. Moreover, 21 percent of the Digital Elite plan to take even more trips during the next 12 months, compared to 17 percent of their less connected counterparts. Driving this growth are Millennials, with 32 percent planning to take more vacations during the next 12 months, significantly more than the 18 percent of Boomers and 12 percent of Xers who plan to do so. Spending More – Consistent with their intention to travel more, the Digital Elite spent significantly more on vacations than all other travelers during the past 12 months ($5,848 compared to $3,997). They plan to spend even more – 10 percent – on vacations during the next 12 months ($6,446), while all other travelers expect to increase their spending on vacations by only one percent to $4,025. This trend is fueled primarily by Digital Elite Millennials, who plan to boost their vacation spending 21 percent, from an average of $5,538 during the past 12 months, to $6,679 during the coming year. Happy, Smart and Fun – Overall, the Digital Elite are an upbeat crowd. Compared to less connected travelers, they are more likely to describe themselves as happy (80 percent vs. 75 percent), intelligent (67 percent vs. 60 percent), self-sufficient (60 percent vs. 46 percent), confident (49 percent vs. 42 percent), fun (49 percent vs. 35 percent), optimistic (43 percent vs. 38 percent), financially secure (35 percent vs. 30 percent), and fit (27 percent vs. 22 percent). Compared to all other travelers, the Digital Elite also describe themselves as planners (46 percent vs. 39 percent) and leaders (35 percent vs. 23 percent). Smartphones – Fifty four percent of the Digital Elite use their smartphones while on vacation as often as they do at home, while 34 percent use them less and 12 percent use them more. Digital Elite Millennials are significantly more likely to use their smartphones more often on vacation (17 percent) than Digital Elite Boomers and Xers (10 percent and 9 percent respectively). The Digital Elite prefer to remain closely connected, even during sleep. Seven in ten sleep with their smartphone near their bed while on vacation, more than six in ten who do so at home. Access social media (54 percent). Tablets – Similar to smartphone usage, 51 percent of the Digital Elite use their tablets as often as they do on vacation as they do at home; while 35 percent use them less, and 14 percent use them more. Book flights and hotels (26 percent). Making purchases (47 percent vs. 7 percent). For more information on the 2014 Portrait of Digital Travelers and other MMGY travel industry reports, visit MMGY Global Research. The information presented in The MMGY Global 2014 Portrait of Digital Travelers™ was obtained from interviews conducted with 2,550 active leisure travelers in February 2014. 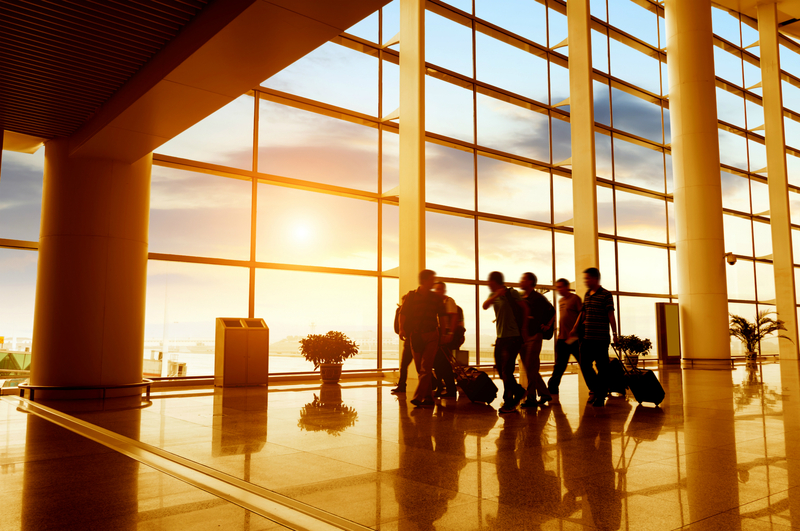 Respondents were adults living in the United States with an annual household income of $50,000 or more, who had taken at least one leisure trip of 75 miles or more from home requiring overnight accommodations during the previous 12 months. The sample was balanced by statistical weighting to ensure the data are representative of all active leisure travelers in America who meet the target profile. For more information about these insights or other travel industry research from MMGY Global, visit MMGY Global Research. MMGY Global is the world’s largest and most integrated travel marketing firm with more than 35 years of experience in the travel, hospitality and entertainment industries. The award-winning agency maintains a global communications practice in all marketing channels, serving many of the world’s premier travel and tourism brands. MMGY Global is author of acclaimed industry research (including the Portrait of American Travelers®) that identifies the habits and preferences of travelers – insights that serve as the foundation for its marketing strategy. For more information, visit MMGY Global.